Trade equity is a term that is used to describe the difference between what your car is worth and how much you owe on it. Dealers determine the value of your current car by using a number of different sources. NADA and Kelley Blue Book values, Black Book values and auction reports all give dealers a picture of what your car might be worth to them. In addition to this information, the dealer will also physically inspect the car as well as take it for a test drive. 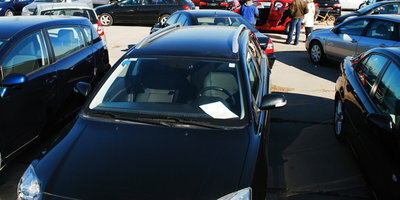 After taking all these things into consideration, the dealer will determine a trade in value for your car. Many customers are surprised that their car isn't worth as much as they thought it was. NADA and Kelley Blue values are only a guide. Auction values are more up-to-date. They are also more geographically accurate, since book values cover an entire region while auctions are local. In addition, the dealer may have to replace tires and pay for reconditioning and detailing. Those costs will lower your car's value. Once the value of your trade has been determined, you need to know if you have equity in the vehicle. If your car is paid off and you own it free and clear, the entire value of the trade would be your equity. If you still owe money on your car and the trade value is more than what you owe, than the difference would be your equity. If you owe money on your car and the trade value is less than what you owe, then the difference is known as negative equity. Other terms for negative equity situations are the terms “upside down” or “in the ditch”. If you have trade equity or you have enough money to cover your negative equity, then it makes sense to trade in your car. If, however, you trade in a car with negative equity on a new loan without covering the equity difference, you end up paying finance charges on not one, but two cars. When you are dealing with a bad credit car loan with the associated high interest rates, this can be expensive in terms of the amount of interest you end up paying. What in the world does that phrase mean? There are two scenarios that I can think of where a negative equity trade will save you money. 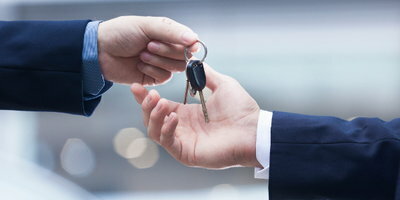 The first involves a vehicle that is out of warranty and repairs will cost you more than you spend in the difference in principle and interest expenses on the new loan. The second example would be a savings in actual operating expenses. If you are trading in a vehicle that gets 10 miles per gallon on a vehicle that gets 25 miles per gallon, the difference in interest expense could be offset by the savings in fuel costs. If neither of these situations exist, then you are essentially paying for two cars at the same time. Again, with the high interest rates associated with bad credit car loans, this is not a good financial choice. Trading in your current car if it is paid off or you have equity in it will help reduce the amount of interest that you pay on your new loan. If you are “upside down”, trading in your car only makes sense if you are avoiding costly repairs down the road or if you can offset the increased interest expenses with savings in fuel and/or insurance. If you have seen your credit report and think that you will need a bad credit car loan, visit our web site at www.autocreditexpress.com. Here you will find a wealth of information on the subprime loan process. Our site has loan calculators as well as calculators that will help you budget for a car payment. We are members of the Better Business Bureau and our SSL encrypted car loan application means you can apply for a loan in the comfort and privacy of your home, knowing that your personal information is safe. Here at Auto Credit Express, we want you “on the road” to better credit!